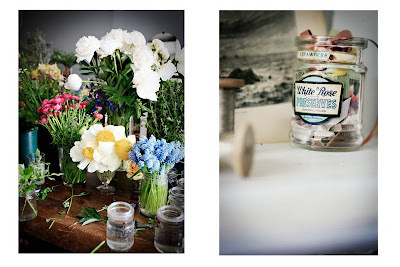 finally feeling better...going now to make some flowers for the table tonight over at Sunday Suppers...seriously. such a beautiful project. rhubarb lavender crisp...when i can taste food again, that's where i'm going. yesterday we did a few weddings, they went off without a hitch. well i did cut myself. and as the blood formed that little blood bubble on my finger my mind trailed to TWILIGHT (which apparently i am the last person to see) and specifically to that guy who plays edward cullen, who i will pretend not to know the name of.. AND not to have googled all the celebrity sightings of when i was at my lowest this week. next thing you know i'm bleeding all over the info desk at Wave Hill with a stricken employee frantically rummaging through her desk for the first aid kit. Just found out about Sunday Suppers last night, want to know everything about it! lol, this cracked me up! I JUST watched Twilight the other day . . . and now I get it.